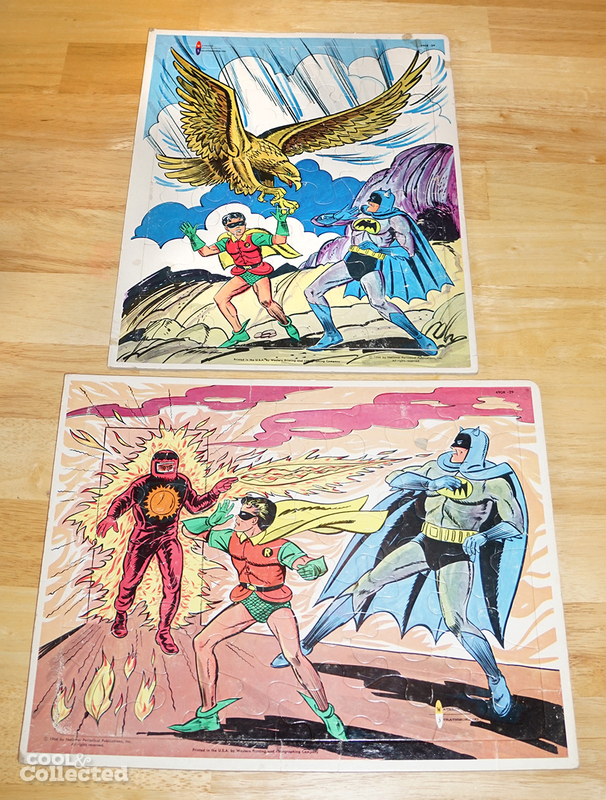 The devil-horned Batman on these is so great! 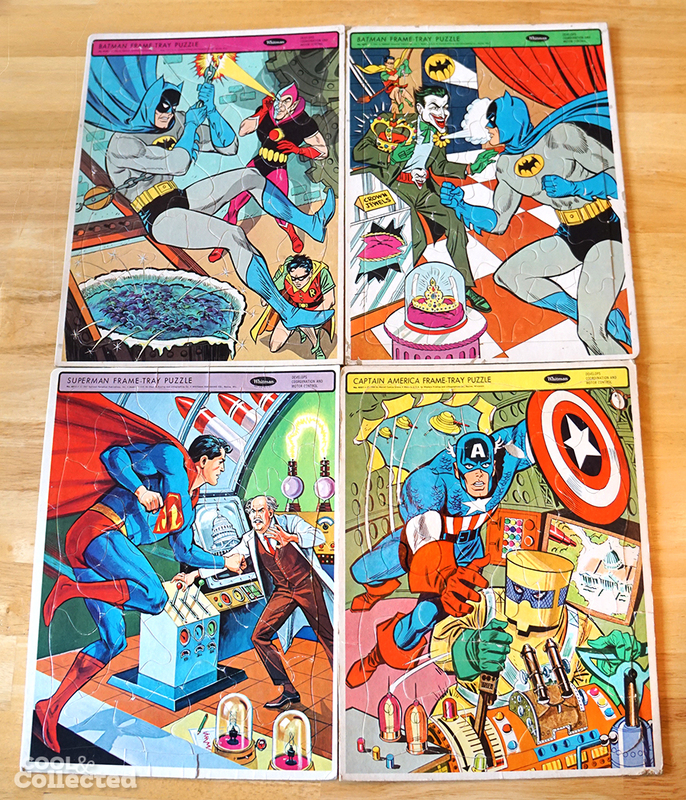 These large Whitman puzzles from the 60’s are the ones are my favorite super hero puzzles to collect. 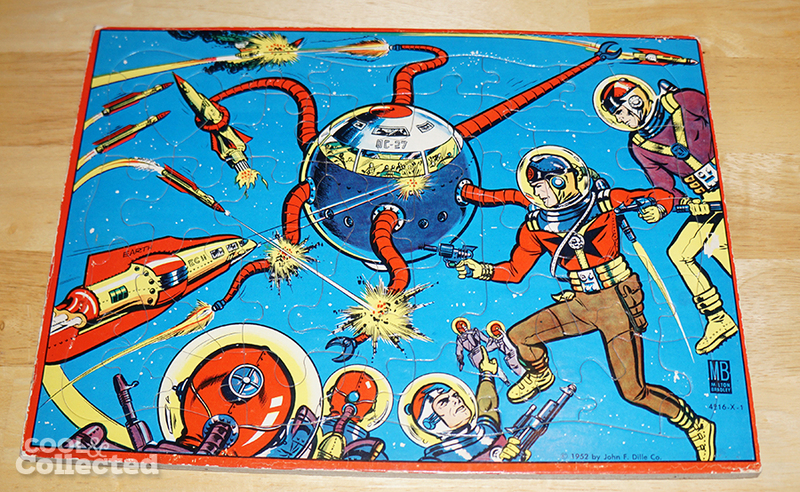 You remember Space Patrol don’t you? 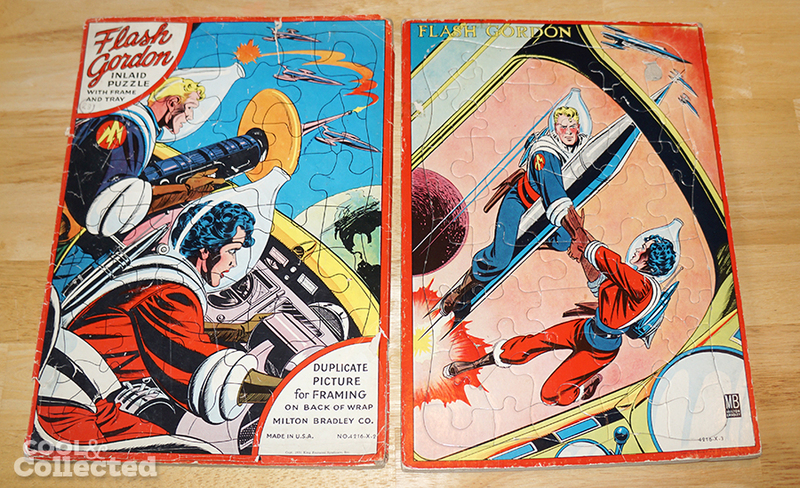 These goofy Flash Gordon puzzles always get me wondering about their backstory. This is more along the lines of the Flash Gordon and Dale Arden characters who I remember. 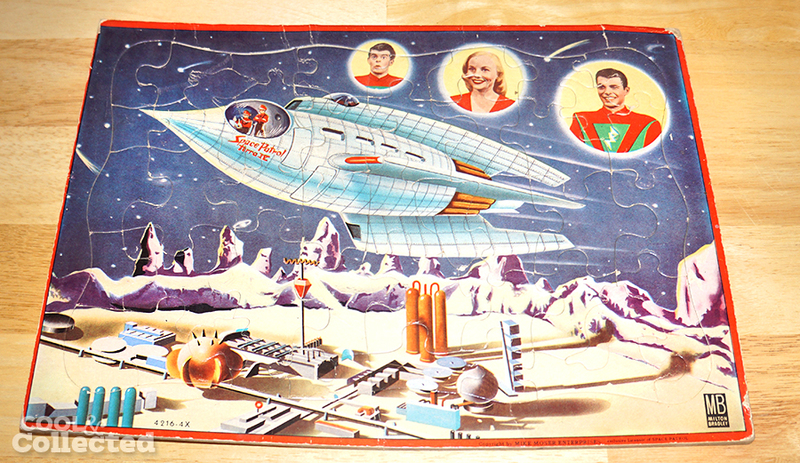 This Buck Rogers puzzle is probably my favorite puzzle in the collection. The colors on this one are super vibrant even after 65 years. Not too long ago, I wrote about my collection of 70’s puzzle cans. 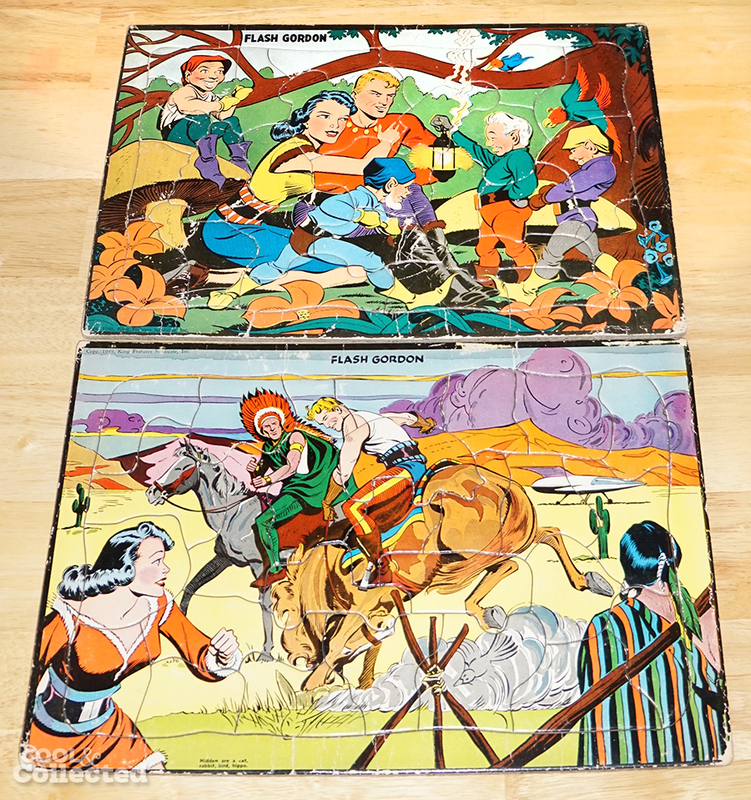 One of the great reasons to collect puzzles is that they are fairly inexpensive. Sure, some puzzles can be pricey, but for the most part, you can get them for less than $20, which is a price point that not many other areas of collectibles can claim. The Blogging from A to Z Challenge continues and tomorrow truly has me stumped. What am I going to do with the letter Q? Help! Very cool puzzles. The puzzle can collection is fantastic as well. I don’t have the patience for a 500-1000 piece puzzles. 250 is max for me.